Colman Coyle is delighted to announce the arrival of Oksana Howard to the Company Commercial department and Head of Russia, Ukraine & CIS Desks for the firm. 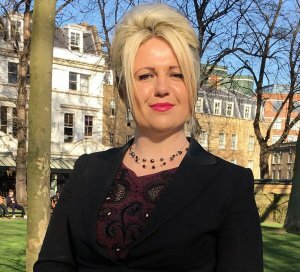 Oksana has significant experience of running transactions from outset to completion, acting for a large pool of English and international clients across various industries and geographical areas, including start-ups and established businesses. Oksana has broad-ranging corporate and commercial experience, including transactional M&A, having advised on high value multi-jurisdictional share and asset acquisitions and disposals, group restructurings and de-mergers, shareholders’ agreements and multi billion dollar international joint venture projects in Africa, as well as advising on major international infrastructural commercial projects. Given Oksana’s connections and active business and social networking, both in London and internationally, as well as having an unparalleled understanding of the CIS markets and business mentality, Oksana has built up an impressive client and business network both locally and internationally. This combined with her linguistic skills and practical legal experience of advising on English law puts her into a perfect position to provide seamless legal and commercial advice to the CIS clients and businesses. We wish Oksana all the best in her new position and look forward to her becoming part of the continued success for the team at Colman Coyle. If you would like to find out further information about Oksana’s expertise click the link here.